Expressing your wants and needs and listening to understand what the other person wants or needs are important communications skills. Healthy communication can benefit your relationships with your family, friends and peers. There are three different styles of communication: passive, aggressive and assertive. Passive communication is when people do not clearly express their feelings, thoughts or needs to others. Aggressive communication is when people forcefully express their feelings, thoughts or needs, but do not take into consideration what anyone else wants. This may lead them to bully others into doing what they want. Assertive communication is when a person clearly expresses their thoughts, feelings and needs and also takes the other person’s thoughts, feelings and needs into consideration. This is the healthiest form of communication. Good communication is not only about expressing yourself but also actively listening and working to understand what the other person is saying. Learning and practicing these healthy communication skills will prepare you for the times when communication with someone is most important. What does “good or healthy communication” mean in a relationship? Communication is an important part of a healthy relationship. It means being able to tell your partner how you feel, what you need, what you believe and what you want in an open and honest way, without being afraid that your partner may get angry or have a negative reaction. It also means listening to and understanding your partner’s feelings, needs, beliefs and desires with the same respect you would want from them. Listening is more than just hearing what the other person is saying. To actively listen, keep the distractions to a minimum. This means putting down your cell phone or taking out your ear buds when the other person is talking. Instead of judging the other person or thinking about what you want to say next, focus on what the other person is saying. You want to not only hear the other person but also imagine how they are feeling. This can help you understand the meaning behind what they are saying. Letting the other person know that you are trying to relate to how they feel can help them feel supported. Relationships become increasingly important for young people as they develop from kids into young adults. It is developmentally appropriate for young people to seek more independence from their families and spend more time with their peers. They also might find that friendships change, with some becoming more intense and others potentially fizzing out. These changes can be stressful and confusing for young people. It’s important that they understand that these changes are normal and that communication can help them navigate changes in their relationships. Communication is an important part of a healthy relationship. Parents and caregivers can help young people develop good communication skills by modeling effective communication, practicing healthy communication skills with young people and talking with them about how best to communicate honestly and respectfully. As young people’s relationships with friends and eventually romantic partners begin to evolve, it’s important that they learn and practice how to communicate with a partner about how they feel, what they need, what they believe and what they want in an open and honest way. It is equally important that young people learn how to listen and understand a friend or partner’s feelings, needs, beliefs and desires with the same respect they expect from them. Effective communication is the foundation of healthy relationships, and your child is already learning and practicing these skills in friendships and will eventually use them in dating relationships. As a parent, being familiar with what healthy communication is and talking to your child about it can help your child feel more comfortable practicing good communication skills. If you are watching a show or movie and someone is communicating in a passive way, you can ask your child whether this person will be fully understood using this communication style. Whether someone is being aggressive, assertive or passive, you can use this opportunity to start a discussion. Point out what you see, and ask what your child thinks. Have dinner together and talk about what is going on in your tween’s life. 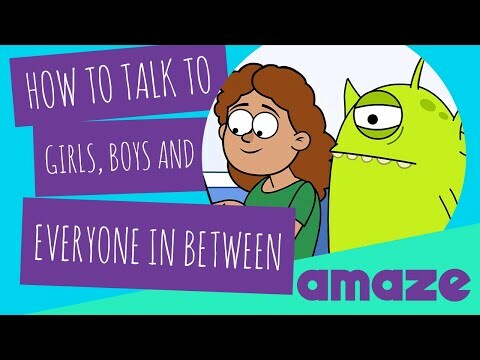 When they mention friends or classmates, you can then use this time to talk about what might be challenging about communication with a particular friend and why—or what might be wonderful about communication with a good friend and why. This can help your child identify what does or does not work about how they are communicating with friends. What were some of the healthy communication skills you can recall from the video? What were some of the unhealthy communication skills you can recall from the video? Why do you think healthy communication skills are important in relationships? Now that you have this information, how might you change the way you communicate with your family and friends? 9th Grade – Lesson 2: How Well Do I Communicate with Others?